Although he has a fantastic self-titled album in the shops, what better way to kick off the summer sunshine than by getting our mitts on a copy of this song? Or even a whole album of covers as brilliant as this? What’s more, many of you even seem to prefer David’s version of the song to the original, so, with all respect to Ryan Tedder, surely it would be a crime to leave it unrecorded? 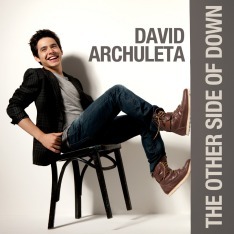 Either way though, we loved a bit of the ArchRepbublic pairing back in 2008, and so I have made it my goal to get Mr Archuleta to get back into the studio and to belt out his version of Apologize – or at least a B-Side, and make us all happy! Who’s up for a little petition? Come on guys, I know you love David as much as me! via David Archuleta Petition For Apologize.